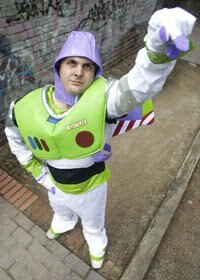 Steve Bolton has gone to infinity and beyond to prove he is Toy Story’s biggest fan – by officially changing his name to Buzz Lightyear. Mechanic Steve wanted to celebrate the release of the eagerly anticipated Toy Story 3, by paying the ultimate tribute to the film’s intergalactic space-ranger Buzz. The 26-year-old, from West Bromwich, said he had been waiting 11 years for the third film in the hit animation’s series to come out – and that he had always wanted a ‘cool’ American name like Buzz. And Steve, or Buzz, as he’s now known, also said pals often joked that he had a chin like the animated space ranger. As of Monday, Steve has now officially changed his name through the UK deed poll service. He said: “I’m a massive fan of Toy Story, they are my favourite films and I’ve always thought Buzz would be the ultimate action hero – if he wasn’t a toy. 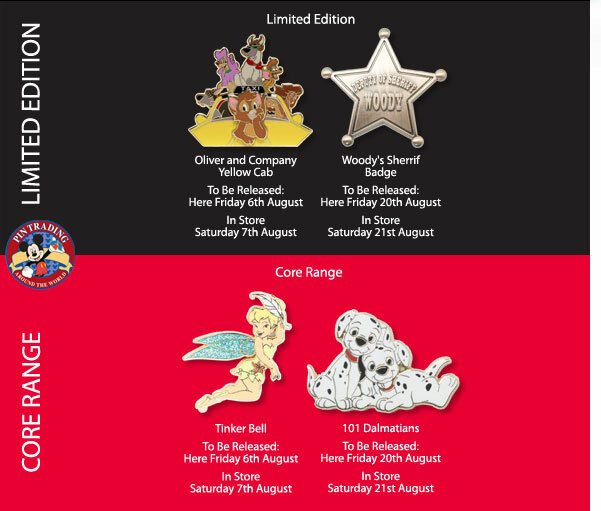 Here is a round up of the Trading Pins scheduled to be realsed by the Disney Store in August. Limited Edition pins to be relased next month are a Oliver and Company pin and a Woody’s Sherrif badge. 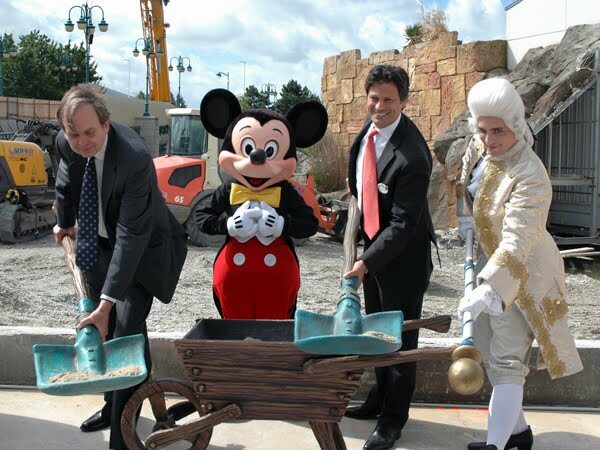 John Montagu, 11th Earl of Sandwich, Philippe Gas, President of Euro Disney S.A.S and Mickey Mouse, took part in a stone-laying ceremony for the new Earl of Sandwich Restaurant at Disney Village, Disneyaland Paris on the 16 June. 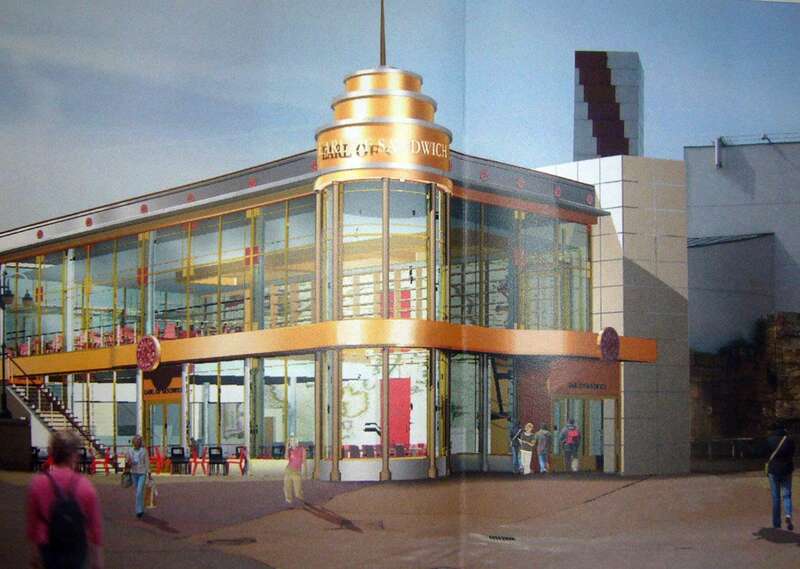 The ceremony marks the construction of the very first Earl of Sandwich Restaurant in Europe and is due to open in 2011. The resturant will be localted over looking Lake Disney on the corner between the Rainforest Cafe and the marina, opposite Café Mickey. Earl of Sandwich which launched at Downtown Disney in Walt Disney World in 2004 is a US franchise chain of restaurants founded by the 11th Earl of Sandwich John Montagu, who’s ancestor the 4th Earl of Sandwich popularised the sandwich in Great Britain in the 1800s. Superbreak enters into Disneyland Paris partnership. Superbreak, the UK-based short breaks specialist, has announced the launch of its brand-new Disneyland Paris attraction breaks, offering a range of 2, 3 and 4 night packages with a multi-day entrance pass into both the Disneyland and Walt Disney Studio Parks. The Disneyland Paris partnership offers Superbreak customers a choice of selected 3 and 4 star hotels located in and around the Disneyland Paris resort, including the Magic Circus, Dream Castle, Radisson Blu Disney, Explorers Disney and Kyriad Disney hotels. European attraction packages are destined to be a big summer hit with Superbreak customers as the operator expands its well-known UK theme park breaks across the English Channel. Paris is already an important European destination for Superbreak through both its retail channel and with direct customers. The company’s position in Europe has already been strengthened this year with the introduction of a partnership with Eurostar. In 2009, thousands of passengers travelled with Superbreak to Paris and sales for 2010 are already strong. The tour operator hopes the introduction of these new Disneyland Paris breaks will further enhance the company’s European breaks programme. Superbreak continues to expand its packaged portfolio offering customers a range of hotel and attraction packages across the UK and Overseas, as well as a choice of over 500 sightseeing and tour add-ons. Speaking about the new addition to the Attractions Breaks programme, Jon Harrison, Programme Manager at Superbreak commented: “Over the past few years our attractions break programme has soared in popularity as we have added the biggest UK theme park names such as Alton Towers and Legoland. Disney could start building its planned theme park in Shanghai as early as November, a year after Chinese authorities gave the green light for the project, a report said Tuesday. “Talks on the Disney project are in the final stages and the construction is expected to start as early as November,” the China Business News reported, citing an unnamed source. The park would be Disney’s fourth outside the United States and its third in Asia, after Paris, Tokyo and Hong Kong – the last to open in 2005. All major construction in Shanghai has been suspended until after the World Expo ends on October 31 as part of efforts to improve the city’s air quality during the six-month event. The Shanghai government announced its long-awaited approval for the project in November last year after authorities in Beijing approved Disney’s application. 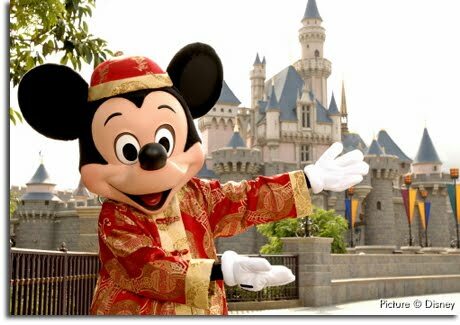 “Final discussions between Disney and the Shanghai government are not yet complete, and detailed negotiations to produce a final deal will continue for a number of months,” a Hong Kong-based Disney spokeswoman told AFP in an email.